And second, he was the first real science geek and technophile we’ve ever elected to the executive office, at least in my voting lifetime. Remember, he wrote Earth in Balance in 1992; And no, he didn’t claim to have “invented the internet” but was the one person in the US Congress who worked tirelessly on initiatives integral to bringing the internet into being. And finally, this lecture was my first opportunity (or, for that matter, the first time I’ve had a real interest) to see an American head of state (current or former) in person. Gore’s topic, of course, was climate change, and what he presented was an excellent (and at times very passionate) overview of the topic. But it wasn’t just climate change. He started off with the economic crisis, its causes and effects, acknowledging that times are still hard for a lot of people. As we (scientists, activists, and politicians) talk about ending our reliance on carbon, jobs (or lack thereof) are on many people’s minds. Then he touched on the science of atmospheric CO2 and climate change, the recent history and current global extreme weather catastrophes that are indicative of climate change, the state of current green technologies, the rise and effectiveness of grassroots movements, the future of green jobs, and finally, the lack of political will that has come to represent the whole climate change debate. To counter that lack of political will Gore is advocating and facilitating grassroots movements across the US and Canada. To do that, he has personally trained thousands of volunteers to present his slide shows via The Climate Reality Project. Worldwide, these communicators have presented the program to more than 5 million people –420,000 in Canada alone. In addition, their 24 Hour Climate Reality Event garnered 8.6 million viewers worldwide. There were times during his presentation when I thought Gore was using too delicate a touch – defaulting to a politically careful stance. The Keystone XL Pipeline and the Alberta oils sands, for instance, got bare mention (though his slides of the sands spoke volumes). He just indicated that both Canada and the US have “a decision to make” and said that he, personally, was against it. I also think Gore failed to make one other connection clear enough. He talked about the climate change denialists and their political and financial motives. He made it clear that they were using tactics similar to those used by the tobacco lobby. What he failed to mention was that some of the players in both of those campaigns are the same people. But I understand some of his temperance – especially given that he was speaking here in Canada. Consider David Suzuki’s scathing commentary on the oil sands when I heard him speak last year. Compared to that, Gore’s comments barely registered. But remember, Suzuki is Canadian. 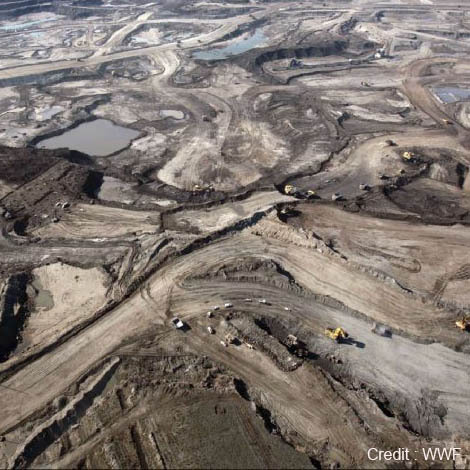 He can call his own oil sands black. And that’s an important point. 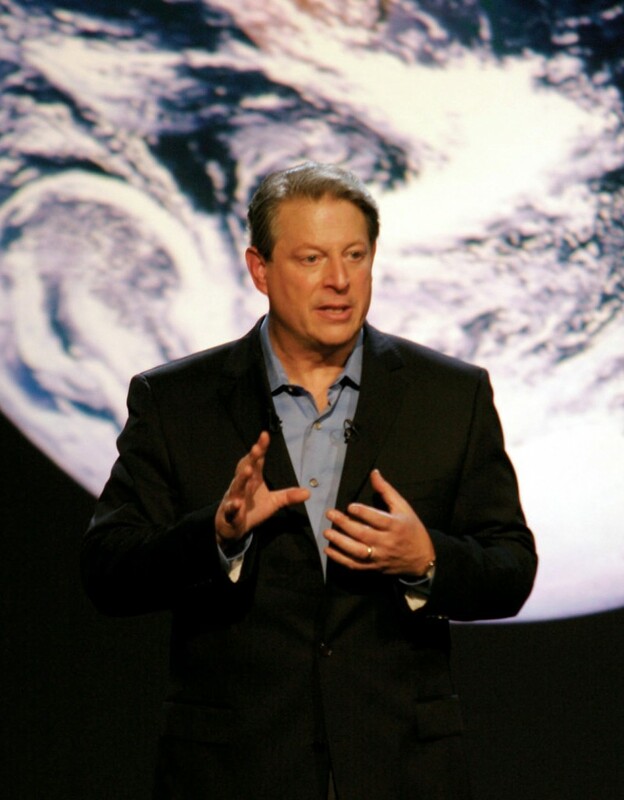 Even though he’s not in office, as a former vice president, Al Gore is a de facto ambassador for the United States. For that reason, he cannot be critical of this country or any other. He’s in a slightly touchy position compared to other leading climate activists. His role, when speaking internationally, has to be that of a statesman – to lend his wisdom and advice and to passionately entreat the rest of us to take action. So, do you want to see this presentation live? Through The Climate Reality Project, schools, clubs, civic organizations, businesses, and government agencies can book local presenters (for free or low-cost) to come give a dynamic and knowledgeable presentation on climate change and its impacts.